Taste test: Although introduced as direct competition to the Samboy Salt and Vinegar, these chips stand alone against enduring favorites. 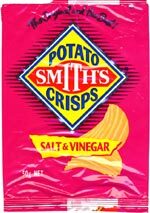 Smith's have taken their original potato chip and enhanced it with a mild salt and vinegar flavor. The taste is not so overpowering as to wrinkle your lips but enough so you don't feel cheated. Currently the best salt and vinegar chips available in Australia. Smell test: Gentle salt and vinegar aroma that doesn't cause your eyes to water. 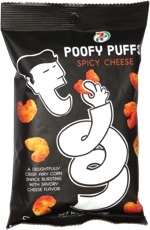 This snack was discovered by Mairéad Doolan at Safeway in Australia. Review published .